Happy Birthday Dee! Are you looking for a stork or birthday sign rental in San Antonio, TX? 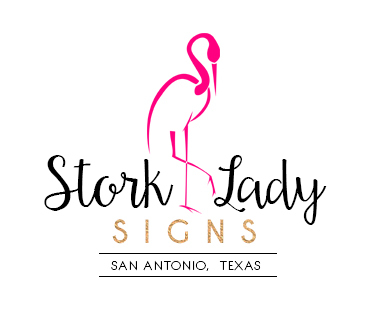 Please contact Stork Lady Signs at 210-601-7351 for more information or to book your stork or birthday yard sign today! Happy 11th Birthday Ben! Call Stork Lady Signs to rent a Stork Lawn or Birthday Sign to celebrate a new baby or birthday. Call us at 210-601-7351 for more information or to book your stork or birthday sign rental today!